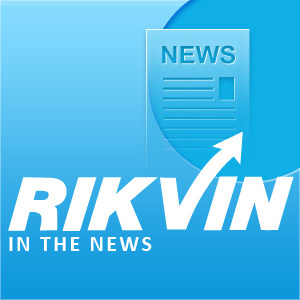 Rikvin has been featured in HumanResourcesonline.net! The article summarizes Rikvin’s perspective on the factors that have contributed to Singapore’s low youth unemployment rate. The unemployment rate among youths in Singapore is relatively low at only 5.9%, compared to the global rate of 13%, according to company registration specialist, Rikvin. Apart from initiatives by the Manpower Ministry to provide comprehensive labour market information to help youths between the ages of 15 and 29 get a head start in their careers, the government also recently launched a job portal to help professionals, managers and executives (PMEs) identify and gain access to job opportunities and training and career pathways. The Singapore Workforce Development Agency is additionally piloting ‘Max Talent’, a place-and-train programme with the Association of Small and Medium Enterprises to help them recruit and retain PMEs. “With SMEs hiring more than 60% of the country’s workforce, Max Talent offers the interested youths a chance to find out more about career opportunities in SMEs, and receive assistance to apply for these jobs,” Satish Bakhda, head of Rikvin operations, said. Young entrepreneurs may also tap into government funding schemes to start their businesses, along with a supplementary mentoring programme for grant recipients. Under the intensive one-year programme, start ups are paired with experienced entrepreneurs who can guide them in various aspects of the business. “Part of the reason the overall and youth unemployment rate in Singapore is lower than the global rate is that the republic offers the right business ecosystem to facilitate entrepreneurs and investors to set up companies in Singapore. This in turn creates employment opportunities for young people who may in turn, eventually explore entrepreneurship as a possible career path and generate more jobs for other young people,” Bakhda said.